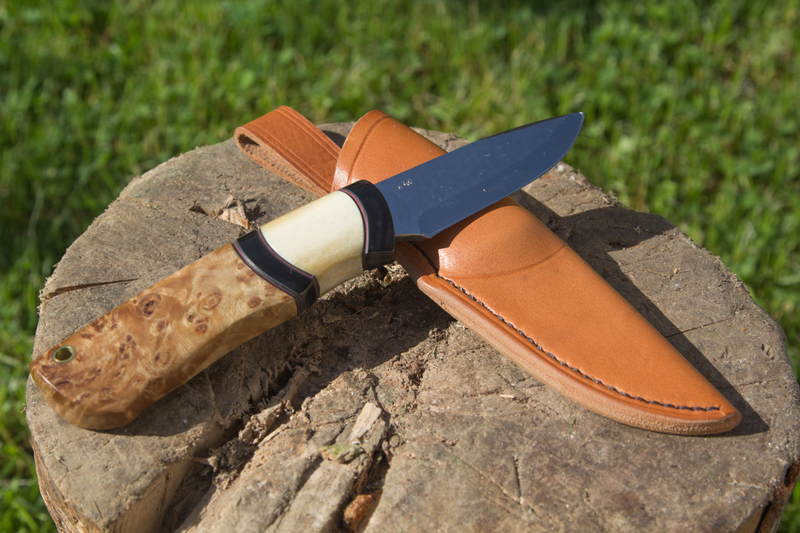 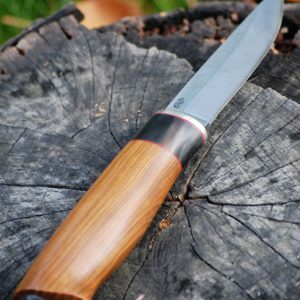 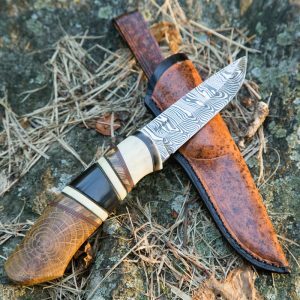 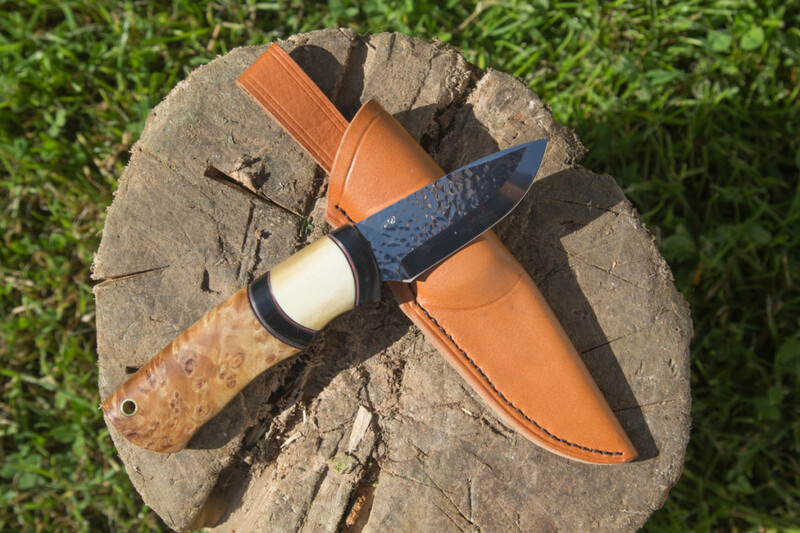 Here is another knife where I used a blade by Maihkel Eklund from Sweden. 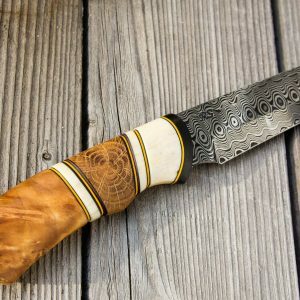 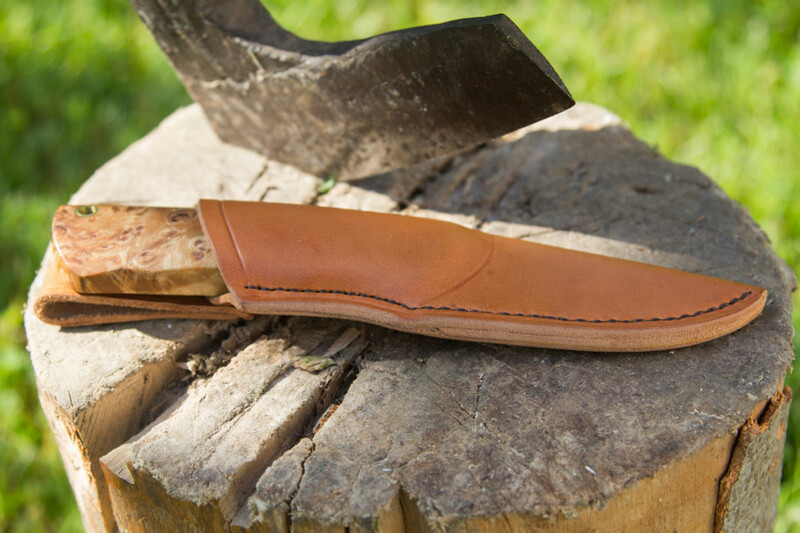 This blade features a nice hammered pattern. 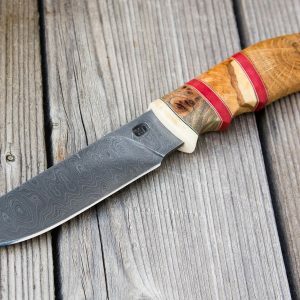 I modified the original blade profile a little bit where it connects to the handle to make a more interesting profile of this knife. 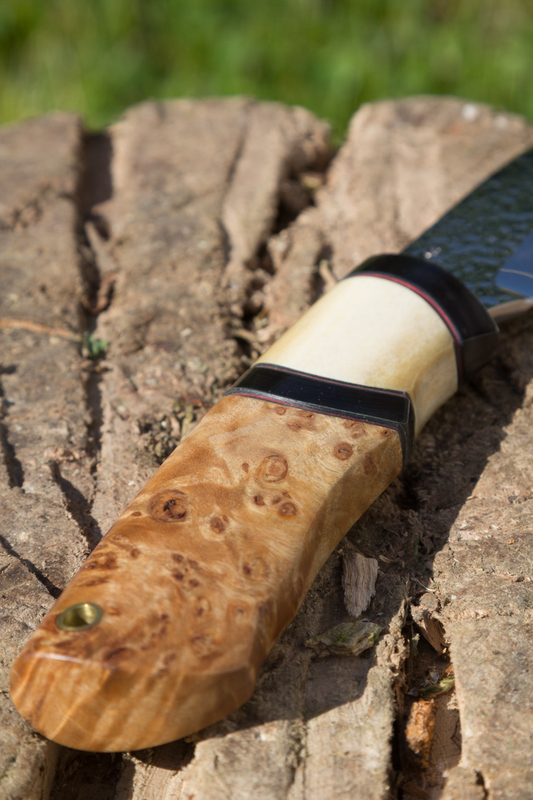 The materials used were stabilized curly birch, moose antler, black buffalo horn, red fiber. A beauty! 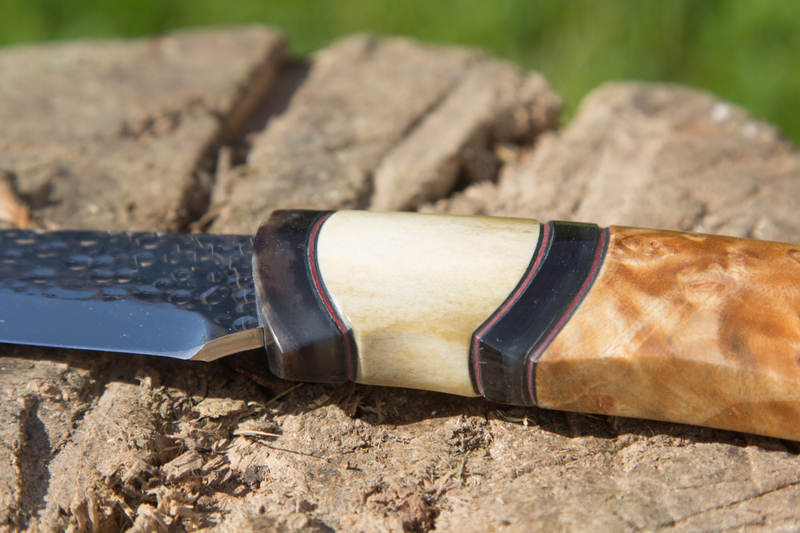 The curly birch gives a nice contrast with the black and white horn. 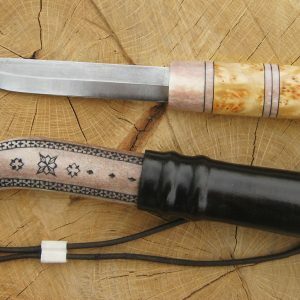 I really love the hammered blade.